If you are an ISV who develops an own vertical solution based on Dynamics 365 Business Central, and if you consider integrating a visual scheduler into your product, here is a link to follow. 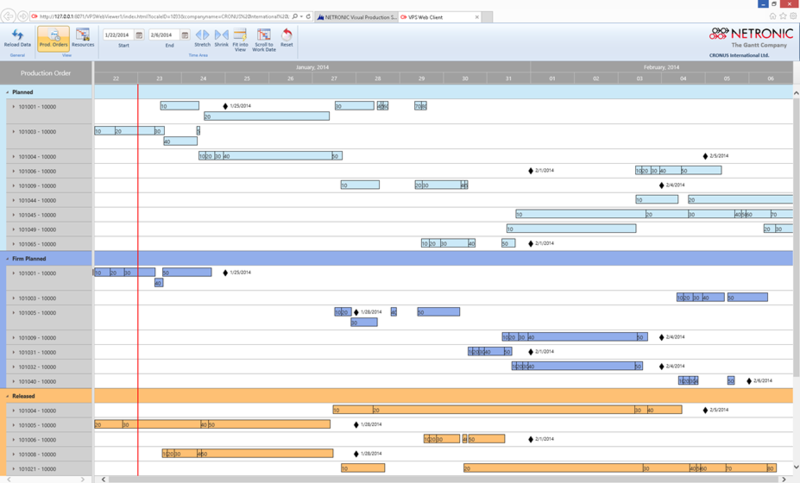 We actually wrote a (almost complete) guide for developing a Gantt Chart Scheduler for Microsoft Dynamics NAV and Dynamics 365 Business Central. NETRONIC has been working intensively on several control add-ins (rather than add-ons!) which enhance the Dynamics NAV user experience with interactive graphical capabilities to schedule, plan and manage production orders and bill-of-materials, jobs and job tasks, service orders and resources. This add-in development initially had been focused on the Dynamics NAV Windows Client, making use of the Client Extensibility Framework by complementing .NET add-ins to Dynamics NAV. Well, up to version Dynamics NAV 2013 it was just not possible to develop control add-ins for the Dynamics NAV Web Client. Hence, we created a special web viewer for our Visual Production Scheduler (VPS) that is running as a stand-alone web application inside a separate browser window. Please note: for the sake of getting a quick proof-of-concept, we decided to develop a “viewer” application first, and to provide interactive drag & drop scheduling functionality in a second step. Here is how the VPS Web Viewer looks like today. The obvious disadvantage of this solution is the lack of UI integration: When starting the VPS Web Viewer a new browser tab opens and the user leaves the UI of the Dynamics NAV Web Client. Instead, he is faced with a new web application with an own UI and a proprietary toolbar ribbon that differs from the Dynamics NAV action ribbon. We started our work by studying the material provided by Microsoft: The step-by-step guide Walkthrough: Creating and Using a Client Control Add-in and the short Manifest Overview. In addition we had a look at the well prepared How Do I video series of Vjekoslav Babić. Things had been very straight-forward and the first steps had been made. However, we aimed at adding business value to Dynamics NAV and needed to go well beyond the basics. In the minute we left the basics, we noticed a gap in the documentation which left us with many questions unanswered. When building the web page, NAV automatically adds all references to script files and to style sheet files to the <head>-element of the control add-in HTML code as <script>- and <link>-elements, respectively. So far so good! But with image resources, these automatic name changes cause some trouble. Imagine an external library that uses image resources of its own. The style sheets of this specific library – of course! - works with relative links to these resources. Guess what … these resources of this specific library cannot be found at runtime from the NAV Web Client since the names of the resources had been modified automatically. 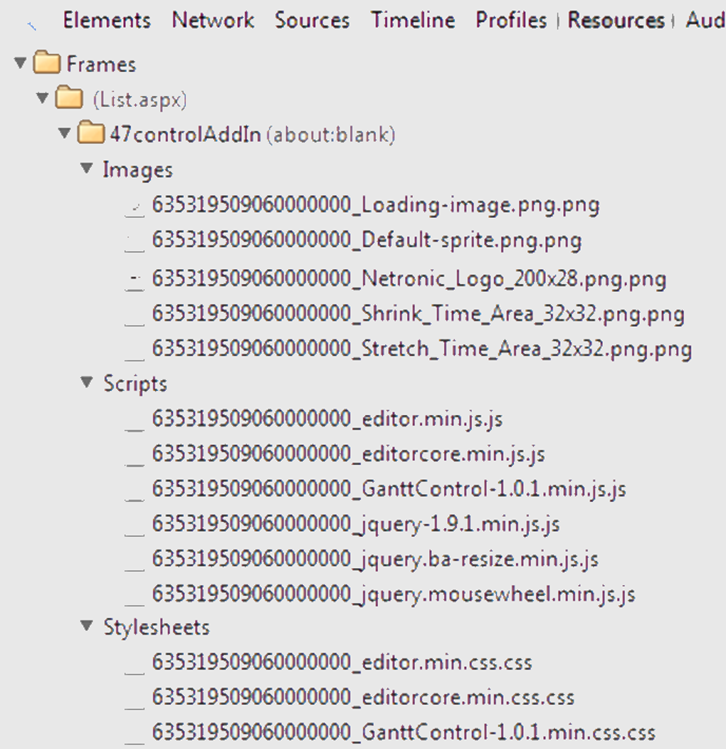 As you can see, the style for all elements of CSS class loading-image had been overwritten and the reference to the image resource had been adapted to the actual value. Therefore this resource can now be found at runtime. Check out our webinar schedule and stay tuned for new developments of our Visual Scheduling Suite.